LSE Retail Group sell lighting and light bulbs to lighting retailers and wholesalers in the UK and Ireland. With over 30 years of experience within the lighting industry as purchasers, wholesalers and retailers of all types of lighting, LSE import directly from factories in Europe and the far east along with buying stock from many of the UK’s largest lighting companies enabling them to be one of the most cost-effective suppliers to lighting retailers. When the LSE Retail Group decided to relocate to new premises, Quickline were more than happy to provide a competitive bid. The process began with the production of a detailed layout of the new warehouse providing an optimum storage solution to suit client requirement. The new design allowed for an impressive 6300 pallet locations and 150 picking shelves. 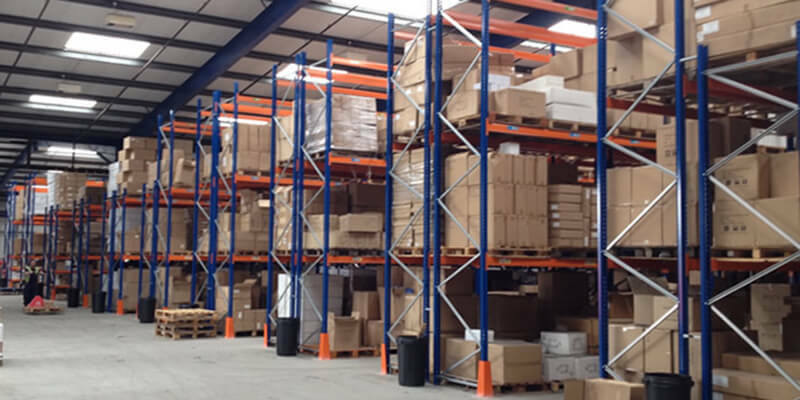 The storage consisted of a new Stow pallet racking installation along with the relocation of existing Apex storage equipment from the former site.